Water-Contaminated Oil Drying Unit Commissioned in the USA - ! Equipment for Transformer Oil Reclamation. GlobeCore. A CMM-10TS unit, designed for dehydration of high viscosity industrial oil, was commissioned in a suburb of Chicago, USA on 19 – 23 December 2017. Occasionally, practical problems lie outside the scope of capabilities of stock units. 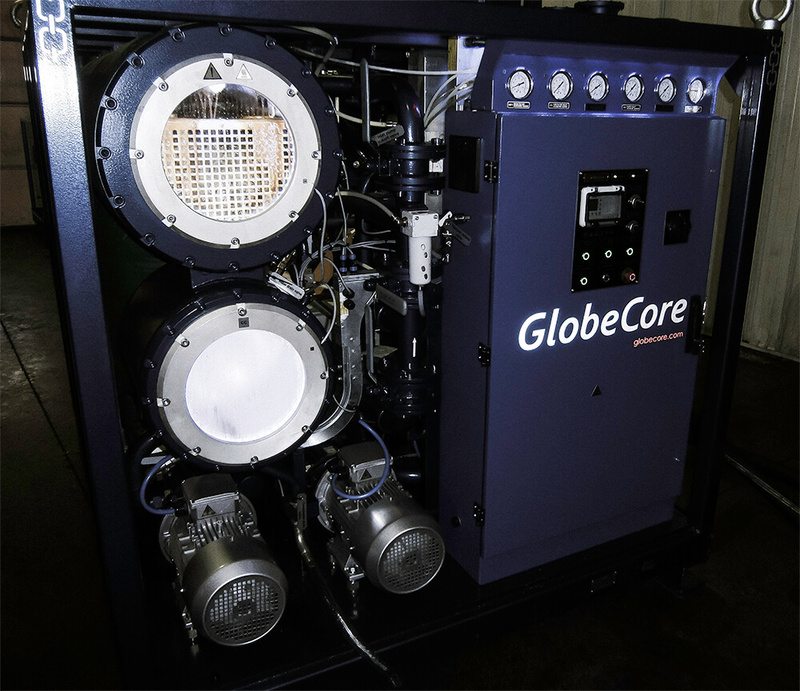 In such cases, GlobeCore accepts and fulfils custom orders; this time it was the CMM-10TS dehydration unit. In the course of commissioning, the unit extracted approximately 16 liters of water from 1 cubic meter of oil. Expressed in ppm, this means that the unit is capable of processing oil with 16000 ppm water content.